ダンケ Vibes’1 debut full-length Augilio 音楽2 was originally released through Jukai Suicide Forest,3 but later found a home on the Canadian label Lost Angles through a digital and limited-edition cassette release. Early editions did not have eighth track “Waves”, which is now available on all digital editions of this release. Other than a featured track on the 95 Elements compilation by French label Elemental 95, Augilio 音楽 is the only release from the artist at the time of this writing. The release starts off strong with lonely pitch-shifted sample curation that sounds like a cross between mallsoft and classic-style, as if your local shopping center has become a little too desperate for shoppers and has begun to play slow jamz to itself. ダンケ Vibes’ use of delay creates a rather haunting atmosphere – of note is “Mallcorp愛”, which has the quintessential glitchy CD-skip aesthetic of which so much great classic-style vaporwave makes use. The atmosphere is great, but Augilio 音楽 suffers from a common pitfall in classic-style vaporwave where it’s just so obvious that the tracks were made from a pitch-/tempo-shift effects panel and little more. For some listeners, this won’t matter – after all, a big part of classic-style vaporwave is in the recontextualization of old media, so as long as the atmosphere is successful, that’s all that matters. Others who are more into the production side of vaporwave and gain appeal based on the studio tricks utilized by the producer will probably be less impressed, simply because Augilio 音楽 is so straightforward in its design. If you’re deep into the sample curation side of vaporwave, then this’ll be one for you, but others might pass. 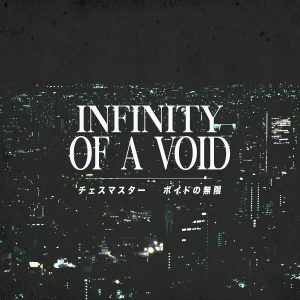 3There’s a surprisingly big theme on Japanese suicide forests in vaporwave. Aokigahara Online is another major one.